What’s Going on Inside the Teen Brain? It's a time of rapid brain development—and risk. Here's why we need to give teens the space—and the safety—to grow. To get a copy of this graphic suitable for a poster, click here. Some 36 million people in the US are between 12 and 24 years of age—a vital period of development many neuroscientists call the age of the adolescent brain, or the teenage brain. We’ve recently seen a profusion of books (see below) pointing out that many of us—and our institutions—have misapprehended the teenage brain and the human beings carrying one around. One high school board member put it to me that “Teenagers are idiots. They need to be protected from themselves.” Idiots? Ouch! What’s really going on, according to brain scientists, is a vitally important period of heightened receptivity (so one seeks out novel experiences), risk taking (to stretch limits), social sensitivity (to form bonds and alliances), and high plasticity (allowing for rapid skills development), to name a few. These features are necessary for a next generation to pave new pathways for the future. But they also make teenagehood a high-wire act that carries big risks. To balance these positives and negatives, the authors of the books say, we need to give teens lots of room, while paying enough attention to helping prevent risks to physical and mental health with potential consequences that are hard to recover from. All generations benefit when a new generation is given room to grow and change the world, while being offered some protection that avoids smothering. Drawing on the books from below, here we summarize a few key neuroscience findings and highlight challenges and opportunities associated with this naturally wild and crazy time of life. • The stimulation-seeking part of the brain, the reward system, is highly sensitized during a time of hormonal surges. Emotion is heightened. As Laurence Steinberg writes, “Nothing…will ever feel as good as it did when you were a teenager.” Or, as bad—when rewards prove elusive and hopes are unfulfilled. • The self-regulatory systems develop slowly. Risk-taking in pursuit of rewarding feelings is likely. It’s not a lack of intellect: risks are understood, but rewards loom large. • A highly sensitized social brain is deeply attuned to others’ expressions, feelings, and opinions. • Drinking and Drugs: 1 in 5 American high-school seniors abuses alcohol at least twice a month. Illegal drug use continues to rise. • Violence: 40% of high-school boys have been in a physical fight in the past year. • Pregnancy: Nearly a third of young women will get pregnant by age 20. Suicide 8% of high school students try to commit suicide. • Crime: Adolescents commit most of the crimes in the US; nearly $6 billion is spent every year incarcerating them. • Fatal Accidents: Nearly half of adolescent deaths are in accidents, and 6,000 are in car crashes. What Can Help Teenagers Flourish? • Understanding: Getting to know their brains: why they might be experiencing what they’re experiencing; knowledge is power. • Trust and Respect: So they can trust and respect in return, and gain independent decision-making power. • Room to Take Risks: To be steered away from high risks, without aggression. And given room to take moderate risks. Preaching doesn’t help. • To Be Listened to: Deeply and consistently. Teens have novel, fresh ideas that the world needs. And they will inherit the earth. • More Sleep! Because they’re learning so much so rapidly, the teen body and brain get a huge workout. They need refreshment: about 9-10 hours of sleep daily. But as the diagram above illustrates, many teens are expected to pull off a juggling act that wears them out. The resulting sleep deprivation can lead to a downward spiral of poor choices and weakening resilience. Renowned neuropsychiatrist Dr. Dan Siegel explains the brain science behind teenage angst and how to turn parental concerns into understanding and confrontation into connection. High school seniors at The Harley School in Rochester, New York, have the option of taking a class called “hospice.” Most who sign up for it don’t know what they’re in for, but none of them forget the experience when it’s over. What do teenagers find when they leave behind the comforts of home (and their digital devices) to live together for five days and nights on a tiny sailboat? Themselves. Carsten Knox reports. 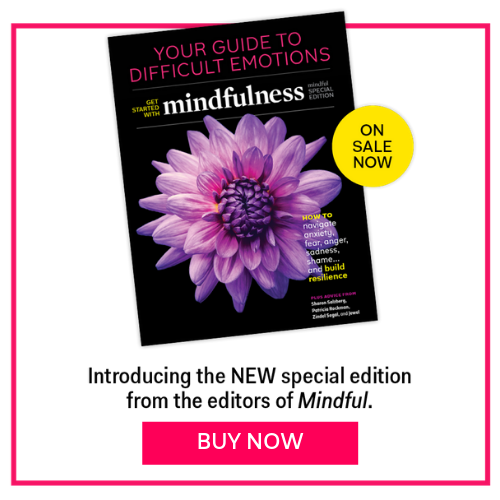 This sidebar appeared in the December 2016 issue of Mindful magazine. Mindful Staff editors work on behalf of Mindful magazine, Mindful.org, and the Foundation for a Mindful Society to write, edit and curate the best insights, information, and inspiration to help us all live more mindfully.